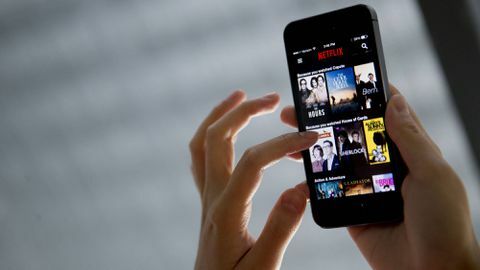 Netflix Inc. will spend a minimum of $500-million over five years on the production and distribution of Canadian movies and TV shows as part of a landmark agreement that will be at the centre of Ottawa's new cultural policy, federal sources say. Heritage Minister Mélanie Joly revealed on Thursday her government's strategy to produce more and better Canadian creative content and news in the face of growing technological change. The new policy, entitled Creative Canada, will be unveiled in a noon-hour speech by Ms. Joly in Ottawa on Thursday. The plan includes new money to stabilize the Canadian Media Fund, $125-million over five years to promote Cancon globally, mandate reviews for the CBC and the CRTC, as well as changes to the Broadcasting Act, the Telecommunications Act and the Copyright Act. In addition, Ms. Joly will be co-chairing, along with Innovation Minister Navdeep Bains, a new Creative Industries Council that will work with private-sector players to increase Canada's presence on the international stage. Of note is also what is not in the package: any plan to rescue failing news media companies. "Our approach will not be to bail out industry models that are no longer viable. Rather, we will focus our efforts on supporting innovation, experimentation and transition to digital," Ms. Joly said in prepared notes for her speech. Still, the government is opening the door to changes to the Canada Periodical Fund starting next year to "better support innovation, business development, startups and export," while preserving "journalistic independence." In addition, Ottawa is counting on Google and Facebook to continue working with the news industry, pointing to Facebook's new deal to create a digital news incubator with the Ryerson School of Journalism. Ms. Joly, a 38-year-old lawyer and rookie minister, launched the cultural policy review last year, even though it wasn't in the Liberal Party's 2015 electoral platform. Stating "everything is on the table," she raised expectations among key players in cultural industries that Ottawa would act on long-standing complaints about out-of-date and underfunded programs. Her new policy is set to disappoint those who wanted new regulations on foreign-based companies that don't pay taxes in Canada, but should please creators and artists who will now replace content distributors as the key focus of federal cultural programs. In particular, Ms. Joly wants to increase funding in the early stages of the development of television and movie scripts, for example, to encourage risk-taking by Canadian writers. "We must find a new way, a Canadian way, to support our content creators, to ensure they can compete, and to create a space for them in markets and platforms at home and around the world," she said in her prepared notes. The Creative Canada policy remains a work in progress, as many elements, such as the legislative reviews, are in the early stages and could take up to two years to implement. A key piece will be an overhaul of the CBC, which will be done with the new senior executive team that will be appointed to the Crown corporation next year. "This is an important moment for the CBC to look ahead and consider the critical role they have in providing a uniquely Canadian experience on a uniquely Canadian platform," Ms. Joly said in the prepared notes. "We want the CBC to be a leading partner among Canada's news and cultural organizations." In terms of new funding, the main announcement is the stabilization of the $370-million Canadian Media Fund, which receives funding from government and industry. The CMF, which plays a large role in television and digital productions, is facing a steep budget decline as Canadians cut their cable and satellite bills. Ottawa will cover the revenue shortfall starting in 2018, on top of its annual contribution of $130-million, to reassure producers about long-term funding opportunities. In addition, the federal government wants to overhaul the funding programs that are geared at the music and books industries by 2020, modernizing the eligibility criteria to take into account new distribution technologies. Overall, the federal government is hoping to create a system in which creators can thrive in Canada before finding international audiences. "Let me be clear: A strong domestic market is vital. It's a launch pad for homegrown talent and a precondition for global success," Ms. Joly said in the prepared notes. Still, the ultimate success of the new approach will depend on the ability of Canadian artists and creators to see their works thrive on international platforms. In her speech, Ms. Joly is pointing to Canadian hubs on Spotify, YouTube and Audible as examples of the ability of digital players to help produce and distribute a new generation of creators. "We want [these companies] to participate in our goals to support the creation and discovery of Canadian content that showcases our talent, our cultures and our stories. I'm pushing for commitments that benefit our industries," Ms. Joly added.